Prescott Sheldon Bush married Dorothy Walker, daughter of George Herbert Walker and Lucretia Wear. Prescott Sheldon Bush was born in 1895. He was the son of Samuel Prescott Bush and Flora Sheldon. Prescott Sheldon Bush died in 1972. Samuel Prescott Bush married Flora Sheldon, daughter of (?) Sheldon and Mary Elizabeth Butler. Samuel Prescott Bush was born in 1863. He was the son of James Smith Bush and Harriet Eleanor Fay. Samuel Prescott Bush died in 1948. Married Name Her married name was Bush. Flora Sheldon married Samuel Prescott Bush, son of James Smith Bush and Harriet Eleanor Fay. Flora Sheldon was born in 1872. She was the daughter of (?) Sheldon and Mary Elizabeth Butler. Flora Sheldon died in 1920. Married Name Her married name was Wear. Nancy Eliza Holliday married James Hutchenson Wear, son of William Gault Wear and Sarah Amanda Yancey. Harold Bruce Welch was born in 1912. He was the son of Mark Anthony Welch and Marie Lula Lane. Harold Bruce Welch died in 1995. Mark Anthony Welch married Marie Lula Lane. Mark Anthony Welch was born in 1883. He was the son of (?) Welch and Nancy Jane Aldridge. Nancy Jane Aldridge married (?) Welch. Nancy Jane Aldridge was born in 1842. She was the daughter of (?) Aldridge and Mary Chadwell. Nancy Jane Aldridge died in 1883. (?) Welch married Nancy Jane Aldridge, daughter of (?) Aldridge and Mary Chadwell. Married Name Her married name was Aldridge. Mary Chadwell married (?) Aldridge. Mary Chadwell was born in 1815. She was the daughter of (?) Chadwell and Jane Johnson. Mary Chadwell died in 1888. (?) Aldridge married Mary Chadwell, daughter of (?) Chadwell and Jane Johnson. Married Name Her married name was Chadwell. Jane Johnson married (?) Chadwell. Jane Johnson was born in 1795. She was the daughter of Gideon Johnson. Jane Johnson died in 1885. (?) Chadwell married Jane Johnson, daughter of Gideon Johnson. Gideon Johnson was born in 1754. He was the son of (?) Johnson and Ursula Allen. Gideon Johnson died in 1843. Ursula Allen married (?) Johnson. Ursula Allen was born in 1728. She was the daughter of William Hunt Allen. Ursula Allen died in 1781. (?) Johnson married Ursula Allen, daughter of William Hunt Allen. William Hunt Allen was born in 1710. He was the son of John Allen and Ursula Withers. William Hunt Allen died in 1786. Name Variation Ursula Withers was also known as Ursulla. Married Name circa 1729 As of circa 1729,her married name was Allen. Ursula Withers was born on 20 December 1709 at Virginia. Ursula Withers married John Allen circa 1729 at Virginia. Ursula Withers died on 3 September 1793 at age 83 Abstracts of Fauquier County, Virginia Will Book Number 2 1783-1796. John Allen was born circa 1705 at Essex, Middlesex Stafford, Northumberland, England. He married Ursula Withers, daughter of Captain James Withers Sr. and Elizabeth Keene, circa 1729 at Virginia. John Allen died in 1761 at Prince William, Virginia. Married Name Her married name was Cary. Anne Taylor married Miles Cary. Anne Taylor was born in 1621. She was the daughter of Thomas Taylor and Margaret Swinderly. Anne Taylor died in 1657. Miles Cary married Anne Taylor, daughter of Thomas Taylor and Margaret Swinderly. Miles Cary was born in 1622 at England. He died on 10 June 1667 at Virginia. Married Name Her married name was Bassett. Bridget Cary married (?) Bassett. Bridget Cary was born in 1652. She was the daughter of Miles Cary and Anne Taylor. Bridget Cary died in 1670. (?) Bassett married Bridget Cary, daughter of Miles Cary and Anne Taylor. William Bassett was born in 1671. He was the son of (?) Bassett and Bridget Cary. William Bassett died in 1723. William Bassett was born in 1709. He was the son of William Bassett. William Bassett died in 1744. Elizabeth Bassett married Benjamin Harrison. Elizabeth Bassett was born in 1730. She was the daughter of William Bassett. Elizabeth Bassett died in 1792. Benjamin Harrison married Elizabeth Bassett, daughter of William Bassett. William Henry Harrison was born in 1773. He was the son of Benjamin Harrison and Elizabeth Bassett. William Henry Harrison married Anna Tuthill Symmes on 22 November 1795 at Ohio. 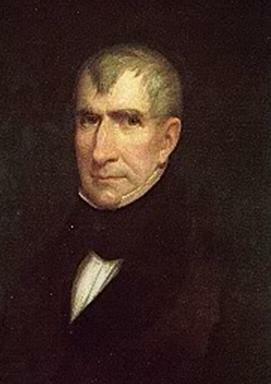 William Henry Harrison died in 1841. 9th President of the United States of America. William Henry Harrison is famous for having the longest inauguration speech and shortest term of any president. He was the first president to die in office; he died of pneumonia only 30 days into his term. Married Name 22 November 1795 As of 22 November 1795,her married name was Harrison. Anna Tuthill Symmes died on 25 July 1775 at Ohio. She was born on 25 July 1775 at New Jersey. She married William Henry Harrison, son of Benjamin Harrison and Elizabeth Bassett, on 22 November 1795 at Ohio. John Scott Harrison married Elizabeth R. Irwin. John Scott Harrison was born in 1804. He was the son of William Henry Harrison and Anna Tuthill Symmes. John Scott Harrison died in 1878. Benjamin Harrison was born in 1833. He was the son of John Scott Harrison and Elizabeth R. Irwin. Benjamin Harrison married Caroline Lavinia Scott, daughter of John Witherspoon Scott and Mary Potts Neal, on 20 October 1853 at Ohio. 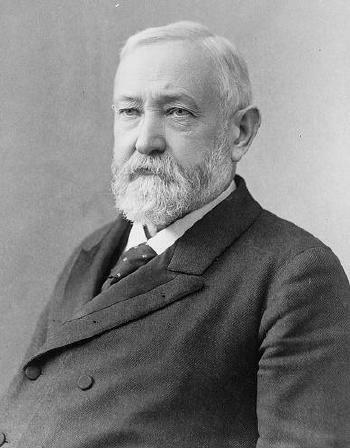 Benjamin Harrison died in 1901. 23rd President of the United States of America. Grandson of President William Henry Harrison, Benjamin Harrison was the 23 President of the United States. During his term 6 states joined the United States and the Sherman Antitrust Act, an act which prohibited monopolies, was passed.